This officially licensed Harry Potter Slytherin House Necktie is made of silk and features an imprint of the Slytherin Coat of Arms. 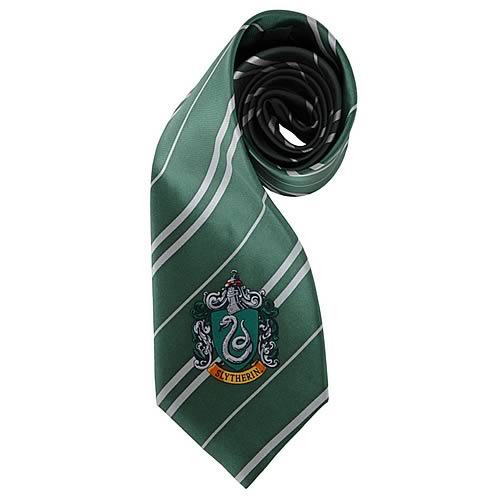 The green and white tie is a great addition to any Harry Potter costume! Fits adults and kids 12 and up.